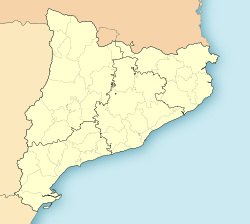 Òrrius is a municipality in Catalonie, in the Maresme comarca o Spain. Citit for the first time as vila de Orreos in documents frae 974 AD. This name, that haes its oreegin in Laitin, means "Barns". It shapit pairt o the land o the Lairds o Burriac till whan 1357 Keeng Peter IV o Aragon concedit jurisdiction o the aurie tae the Lairds o Roca del Vallés. The veelage is centred aroond the kirk o Sant Andreu (Saunt Andra), built in the 16t hunderyear in the late Gothic style. It is on the Laitin cross plan, an haes back tae back chapels that wur addit later. Thare is a smaw Romanesque hermitage an aw. The bell touer is o later construction, bein addit tae the kirk in 1826. In 1981 treasur, in the shape o coins frae the time o Berenguer Ramón II, wis foond athin the kirk. Athin the Municipality, there is the kirk o Sant Bartomeu de Cabanyes an aw, first recordit in 1191. Òrrius celebrates its fiesta mayor on 30 November, the Feast o Saunt Andra. Upo this fiesta peixos are etten; a smaw cake, teepical tae the veelage, in the shape o a fish. Thare is the Festa de la Plantada del Maig an aw, celebratit on the seicont Seturday o Mey, whaur a taw tree that haes been carriet aroond the veelage bi the veelagers is plantit in the toun square. Tradeetionally, the principal economic activity is agricultur. Nivertheless, the proximity o the veelage tae Mataró means that syne the 1970s the veelage haes become hame tae mony residents o that toun. For this raison, mony inhabitants wirk ootwi the veelage. Thare is awee industrial activity, tho thare is a smaw granite quarry that continues tae be exploitit. Tomàs Bonell, Jordi (1994). Descobrir Catalunya, poble a poble. Barcelona: Prensa Catalana.